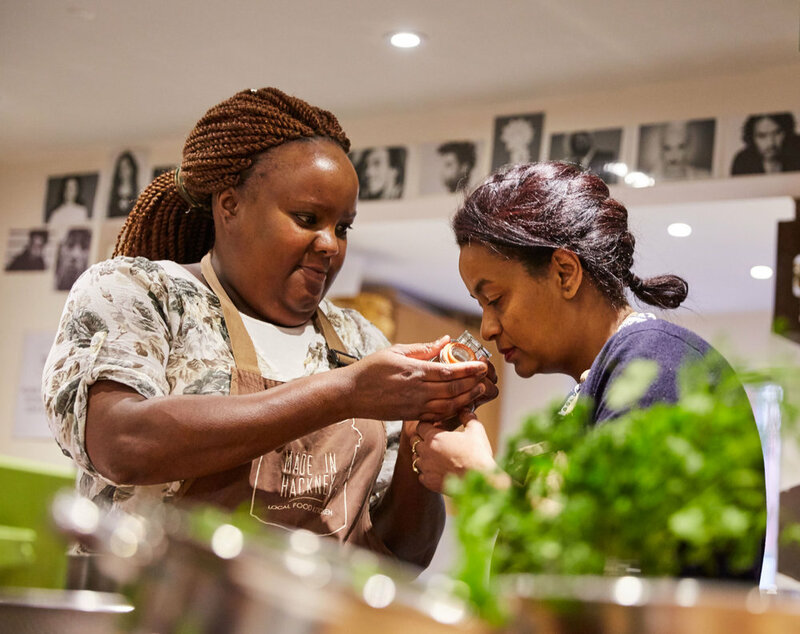 Sarah Bentley, founder of charity Made In Hackney, tells us how the vegan community cookery school wins the hearts and stomachs of local communities one banging ‘plant-based’ recipe at a time. “But sir, when are we doing chicken?” This request is something our youth cookery teachers Mark Breen and Steve Wilson get on a regular basis at the end of the first class of a six-week course. At this point they confess that they’ll not be using any chicken – nor shock horror - any meat, dairy or eggs – for the duration of the programme. At this point you might imagine some youngsters might leave. Some threaten to. But as the class has been so fun, the atmosphere so relaxed and supportive, and as the vegan dishes (cooked by the youngsters themselves) tasted so ‘banging’, they don’t. In fact, they happily come back for more. You see, since we set up Made In Hackney in 2012, we’ve never shouted from the roof tops that our food is vegan. We talk about plant-based, healthy, affordable, organic, local, seasonal, ethical food that is good for people and planet – something that the wonderful community and third sector organisations we partner with all nod approvingly of – but often without fully connecting this to meaning vegan. This might be perceived as a little sneaky (we often hear “I wouldn’t have come if I’d known it was vegan – but I’m glad I’m here now) but man it works as our 6000 plus cookery class alumni (mostly non-vegans), contract with Public Health Hackney and work in traditionally anti-vegan strongholds such as children’s centres, youth clubs and pensioners groups, is testament too. If people question me indignantly about our food policy, I point out that the last thing we need to do as a progressive cookery school aiming to make an impact in environment, health and community, is to teach people how to eat more meat and dairy. No one has ever argued with this. You just can’t. And don’t get it twisted, we are proudly vegan and as elated as everyone else at the meteoric rise in the popularity of all things animal product free. 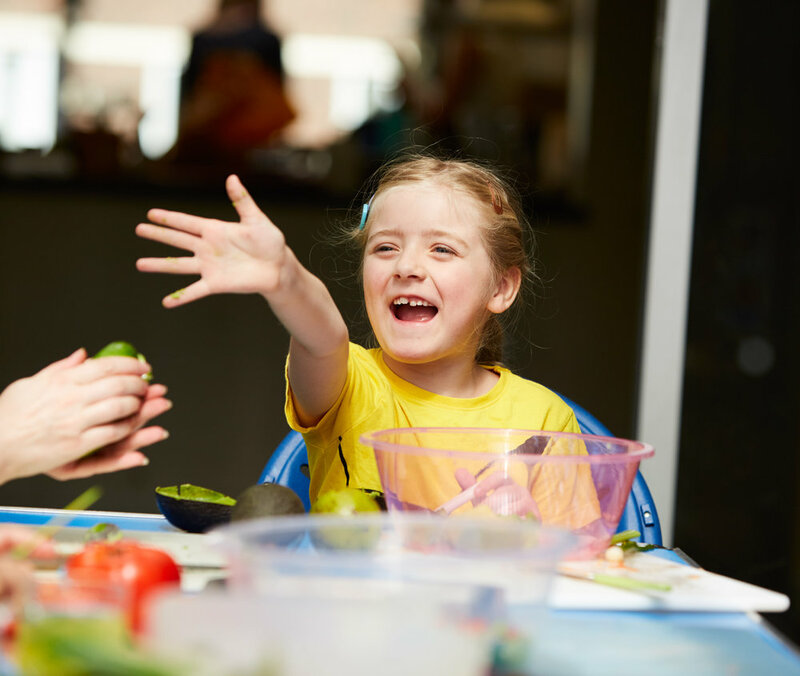 It’s just that we recognise that for a lot of the vulnerable groups we work with such as low income families, people with long term health challenges and young people leaving care – learning their way around the kitchen to cook food that’s affordable, tastes good and is healthy are their number one priorities. Let’s be fair, they already have a lot of other stuff going on in their lives and often come from a hugely diverse range of cultures and backgrounds where the concept of vegan simply doesn’t exist. It’s easy to judge. But we don’t. Ever. For so many of our participants – whether it be pensioners, young families or people with learning difficulties - fresh fruits and veggies – actually even most plant-based foods except potato’s and white flour – can be problematic. For people use to a high carb, high sugar and high animal fats diet the textures can be weird and alien. Also there’s the problem of convincing reluctant kids or partners to try them. Or even knowing how to prepare them in a tasty way. Also quite simply, being able to afford them. It is pretty much universally accepted that we need drastic action to tackle spiralling lifestyle induced conditions such as obesity, heart disease and diabetes. It’s also accepted that eating more plants will help with this and that the 5-A-Day recommend is a bare minimum rather than an ideal. Our cookery classes normalise what a tasty, affordable plant-based meal is – and the participants and the organisations they come from (whether that be Action For Children, Deaf Plus, Stroke Survivors Group or the London Gypsy Traveller Unit) are usually delighted (eventually) – and surprised (always) – at the volume of new and tasty veggies, grains and legumes on their plate that low and behold, actually taste pretty good. As a fifteen-year-old girl from a local school told us, as she tucked into sweet potato wedges, sautéed spinach and scrambled tofu pie, “You know what. This food’s actually tastes alright you know.” Result! And it’s not just the joy of getting more and more people onto plant-based eating that inspires us to do what we do. Our programme has impacted so many people in a positive way it’s hard to choose which story to tell. 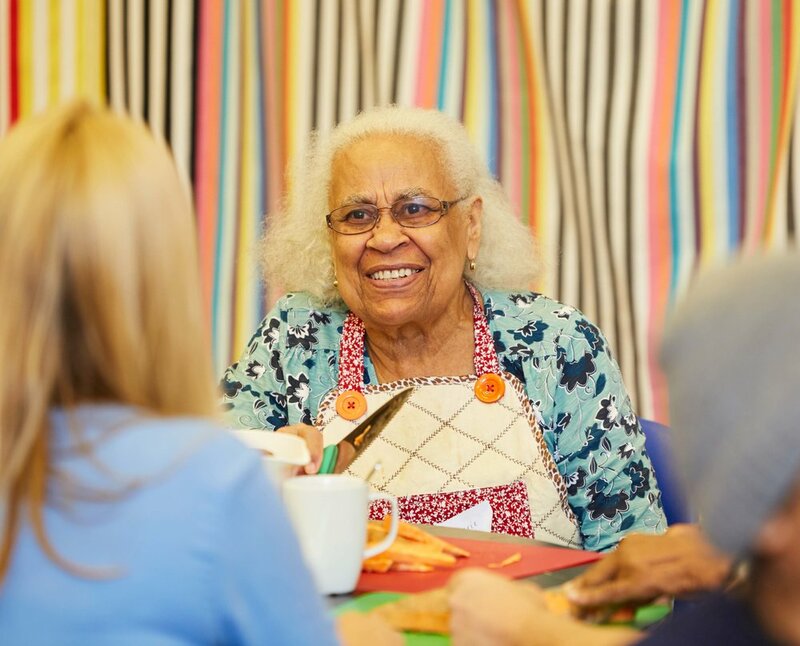 Equally staggering is the results of a course our wonderful facilitator Jayne Totty led on an estate in Tower Hamlets for men over 55 years of age living alone. We suspected our food was going to be a bit of a culture shock – and it was. But six weeks in, loads of great food, laughs and support later – and they, the former participants, now run a bi-monthly food offer which they call ‘The Men’s Vegan Café’ where they sell food, cooked from scratch by themselves, to fellow residents. We didn’t see that one coming. I mean, some of them had never used a potato peeler before. Health gains amongst our participants are plentiful too. From lowering of blood pressure and cholesterol levels to weight loss and coming off insulin altogether for one of our formally type two diabetics. Mental health gains are equally bountiful with participants telling us attending our programme has helped them with depression, anxiety and social isolation. It’s not just about the food – but the making and eating of it in a group setting that people come for. Our 2017 summer party was a bit of a coming of age moment for us. Attended by 200 people of every social background, age, culture and life situation imaginable, it brought tears to mine and the MIH team’s eyes to see such a disparate group of people all enjoying, celebrating and sharing their MIH experience with vegan food happily and naturally at its centre. A further cry from the hippies and hipsters cliché that people enjoy dismissing vegan food as exclusively appealing to you could not get. If you believe in our work and would like to get involved we'd love to hear from you. We are always looking for volunteers, fundraisers, half marathon runners or people to enlist their workplace to doing a team building away day with us. You can also attend one of our masterclasses in themes such as Going Vegan, Life Beyond Cheese, Plant-Powered Fitness, Nut Cheeses, Fermentation and Middle Eastern Cuisine. All the funds raised from our masterclass and team building programmes helps fund our work with vulnerable communities. Hope to see you in the kitchen soon!